Our services include the most battle tested and field hardened methods of tree service that our experts in service could possibly provide. Second-rate service providers leave their customers feeling confused and upset about the overall satisfaction of their experience. You will not have that problem when you deal with us. We have been offering the most thorough and exceptional tree care service in the Baytown area since we were founded. 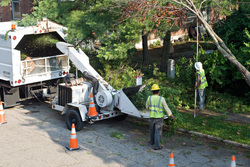 We have added certain services over the years just so we can make sure that any and all tree care needs are met. If we didn’t stand by our service we couldn’t stand by our statement that our customers are given the absolute best experience one could hope to have in regards to a tree or stump removal. Shrubs and hedges are no exception, we take all projects on with a can do attitude. We know that this is the type of huge project that mall businesspeople and homemakers do not have time to complete on their own. Let our specialists pick up the slack for our families and parents of Baytown. Baytown Tree Care does both commercial and residential properties when it comes to availability, no one can beat us. Seriously, just come down to our downtown offices and try to stump our stump experts. Call (281) 975-0077 and test these services out for your family.